Starbucks Teavana is now in the Philippines! Everyone who knows me know that I love tea. And I’m not alone in my obsession: tea is the second most-consumed beverage in the world, just after water. Unlike its rival coffee, for me, tea is a drink for introspection. I drink coffee when I want an instant pick-me-up or when I am socializing with friends, I drink tea when I am alone and want to reflect on life. 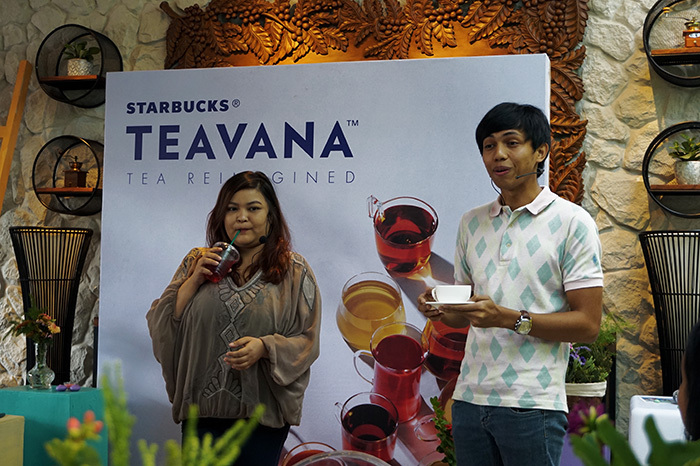 Now, a new tea player is in the Philippines as Starbucks just launched its Teavana collection in the country! 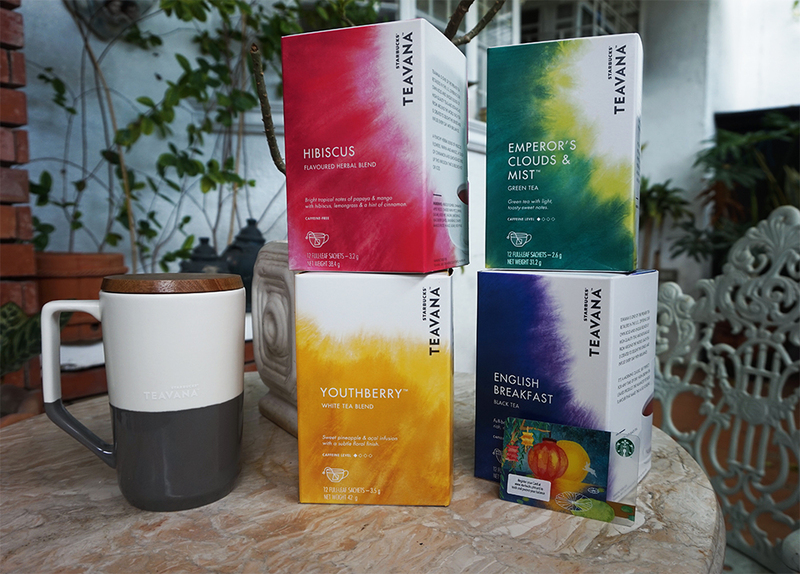 Teavana is an American line of luxury teas that uses high-quality ingredients to create exclusive blends inspired by culinary trends, mixology and tea cultures from around the world. In 2012, Starbucks acquired Teavana. It makes sense that Starbucks would acquire the tea brand. I love how the coffee chain sells not just coffee (and delicious cookies), but also an experience. Starbucks lovers (hello, Taylor!) would know what I’m talking about: each branch has a warm and inviting feel, baristas are friendly, and it only takes two visits for them to remember your name. It’s my go-to place for me-time, for hang-outs with friends and family, and even dates. The English Breakfast tea (which I’m sipping as I type this) is a blend of Indian Assam, Sri Lankan Ceylon, and Chinese black tea. Black teas are best drunk in the morning because of its caffeine content, but it’s not as strong as coffee so it will give you just a mellow buzz. 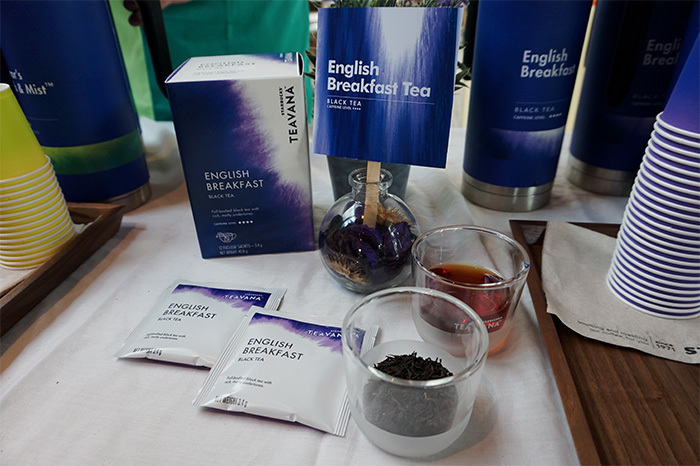 English Breakfast used to be my least favorite tea because of its strong flavor, but I like how Starbucks Teavana’s rendition is lighter on the tongue. It even has a chocolatey aroma that can be addicting. 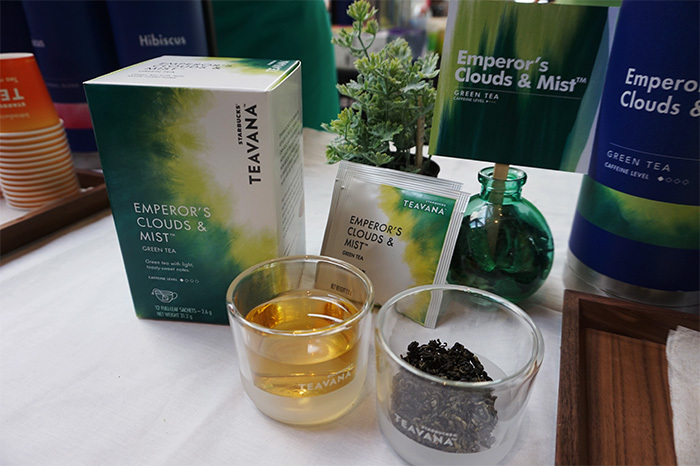 The Emperor’s Clouds and Mist has an incredible story: the tea leaves are exclusively harvested every April in the Huangshan Mountain in China at 3,500 feet above sea level, which means it is grown on the level of clouds. Green tea is best drunk after a heavy meal, as it is good for digestion. It’s a good drink to have when you’re hoarding Starbucks’s new single-origin chocolate chip cookie (made with my favorite Malagos Chocolate and coco sugar). It is so good, okay. 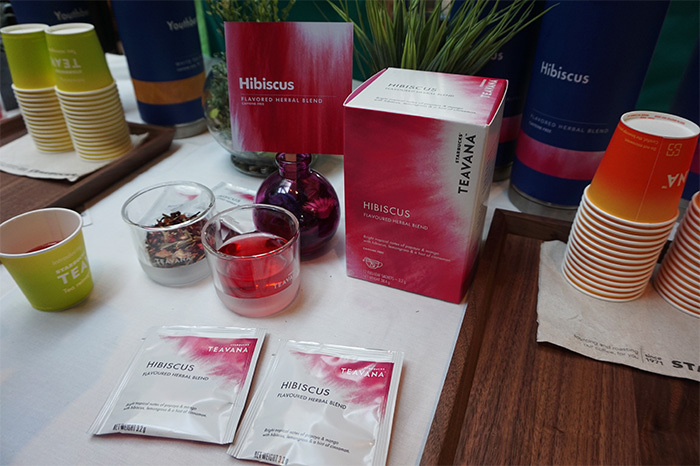 The hibiscus herbal blend is caffeine-free so it’s an excellent choice if you want to have tea in the middle of the night. This herbal blend has a bright and fragrant aroma that has notes of papaya, mango, and lemongrass. It has a tart aftertaste, but it’s a dessert in itself. Perfect for those times when you want something sweet but are weight-conscious. 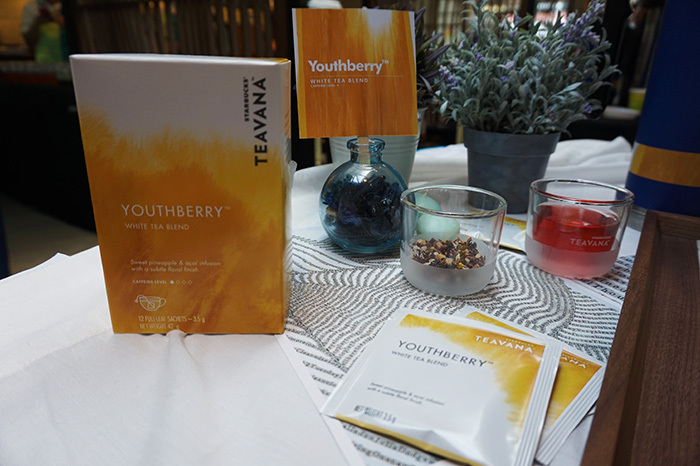 The Youthberry is Starbucks Teavana’s white tea offering. White teas use young tea buds and leaves, and are carefully-picked. The youthberry has an interesting mix of acai, pineapple, mango, rosehips, and green apple. It’s a deliciously tropical drink which will make you feel younger. I kid, of course, but it’s a great burst of flavor. I love how all the teabags come in pyramid-form, which studies show provide a better brewing experience compared to round teabags. You can order the teas in the store, and come in tall (P110), grande (P110), and venti (P125) sizes. You can also buy a box of 12 sachets for P525. Starbucks also has Teavana blends in chamomile and mint, which don’t come in boxes. For extra-hot days (like today, even if it’s already a -ber month), Starbucks Teavana also has iced shaken handcrafted drinks. Why shaken? Because they’re prepared like James Bond’s favorite martini: shaken, not stirred. Trivia: Ian Fleming, the author of the James Bond series of spy novels, believed that stirring a martini diminishes its flavor. Could this also be the reason why Starbucks shakes its handcrafted Teavana teas? The iced shaken hibiscus tea with pomegranate pearls is tart and refreshing, and comes with tiny pearls that burst with real pomegranate juice. I can imagine drinking this on a scorching hot day by the pool or the beach, as the bursting pearls feels like a party in your mouth. And oh, pomegranate is a good source of antioxidants! The iced shaken black tea with ruby grapefruit is my favorite. Notice that this black tea has a golden color. It’s a pleasure to drink as it has layered flavors: you first taste the pomelo and the star ruby grapefruit (rich in vitamins A and C, and bioflavonoids and antioxidants), followed by the surprising sweetness of honey at the bottom. Duking it out as my favorite is the matcha and espresso fusion. It can be enjoyed mixed, but Jamie of Starbucks Philippines recommends drinking it in layers. You first enjoy the fine matcha powder, then the milk, then the espresso roast. It’s a unique combination, but not exactly a summer drink. I imagine drinking the hot version on a cold night. The iced shaken hibiscus tea with pomegranate pearls and the black tea with ruby grapefruit come in tall (P130), grande (P145), and venti (P160) sizes, while the matcha and espresso fusion come in tall (P155), grande (P170), and venti (P185) sizes. Of course, the Starbucks Teavana collection wouldn’t be complete without accessories. 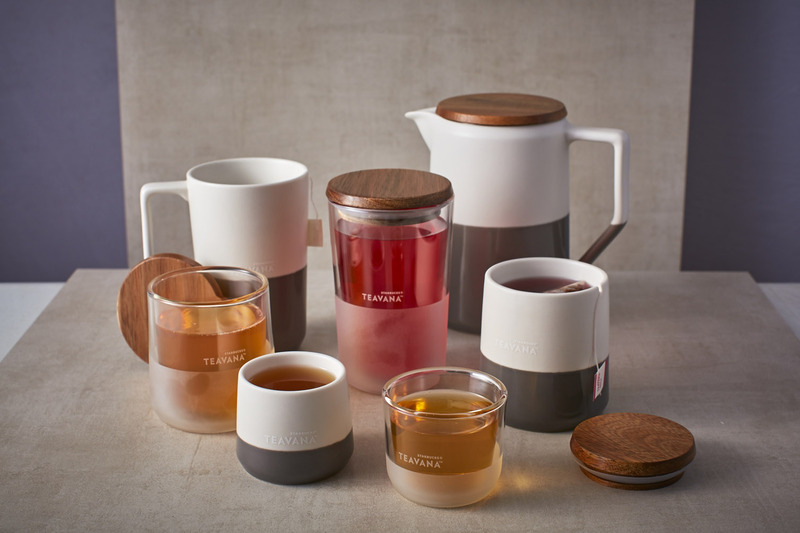 Their tasting cups are beautifully-designed with a minimalist and Japanese-inspired design. I personally love the 12 oz. tasting cup, as it has a wooden cover and a niche for the teabag strings. And for some reason, it keeps my tea warm longer. Earlier, I mentioned that I consider tea as a solitary drink, best enjoyed in quiet slices of the morning, afternoon, and evening. But now that Starbucks launched its Teavana collection in the Philippines, it might just replace their Frappuccinos as my “social drink” of choice. The key word is might, as the Java Chip Frappuccino is still my poison of choice. 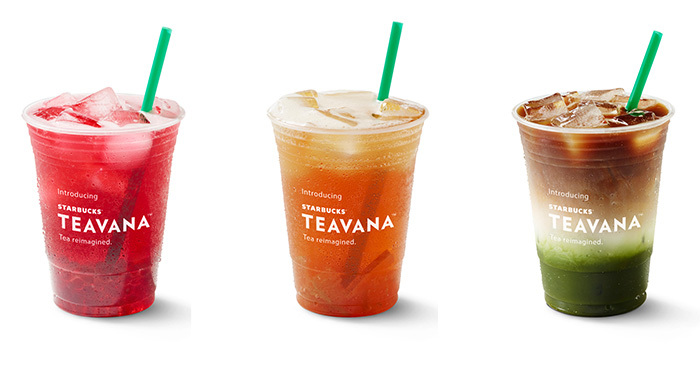 The Starbucks Teavana collection will be available to the public on September 14. Starbucks cardholders may avail of the Starbucks Teavana iced shaken handcrafted drinks before its launch from September 11 to 13. From September 14 to 20, customers who buy two Starbucks Teavana packaged teas will receive a complimentary packaged tea of their choice.